Sunday started warm and steamy with the threat of thunderstorms in the afternoon. Spring has well and truly taken hold here in France, with bright green new growth unfurling everywhere as the seconds pass. Grass is growing at the speed of knots as are the dandelions. I’m sure I’m not alone in currently having bright yellow ‘lawns’ which although look cheerful now will turn my heart to despair in the next couple of weeks as the seed heads appear and disperse themselves to yet more corners of the garden. Wildflowers are equally starting to brighten up the French road sides, and one flower which is in abundance right now is the wood anemone. Whilst out walking at the weekend there were carpets of these pretty, white flowers everywhere, pushing their way through the dead leaves of winter. The wood anemone is a dainty perennial with a creeping rhizome. 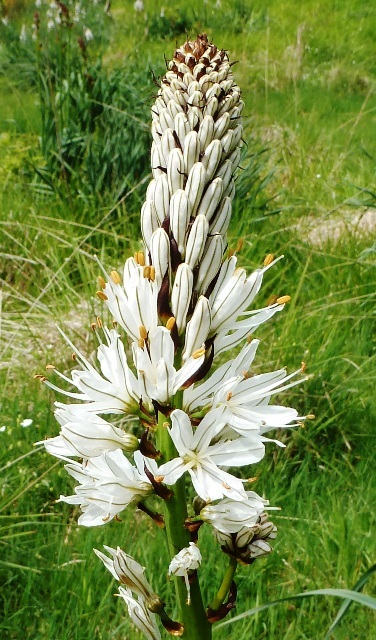 It is common throughout France apart from in Mediterranean areas. 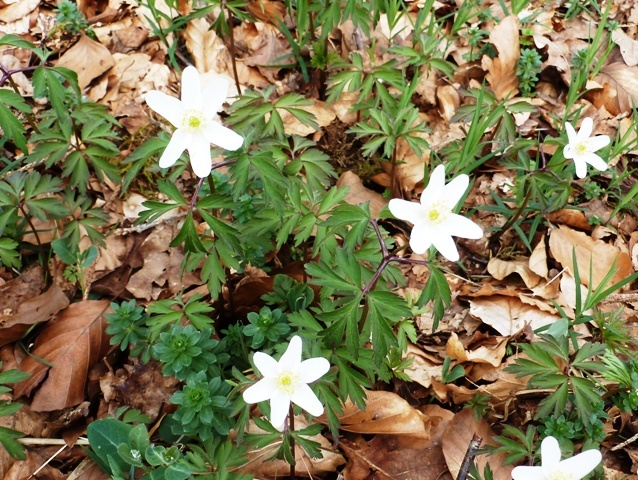 The flowers of the wood anemone are white, tinged with pink or purple on the underside. An early spring flowering wildflower which appears from March to May in woodland settings before tree canopies become too dense. During the day time, the flowers open to fully face the sun, but at night, and in rain, the petals close and droop down to protect themselves. I can only imagine that with Sunday afternoon’s thunderstorm that these lovelies which were fully open in the morning closed themselves up tight against the battering hail and rain. A few years ago, I planted lots of Wood Anemone in the small woodland in my garden and to my delight, they have spread happily in large patches. The difference here (in the Creuse) is that mine finished flowering over a week ago, apart from some over-enthusiastic plants which are determined to outlast the rest. It’s a beautiful flower and deserves a place in anyone’s garden, especially if you have a wooded area, however small it is.